Thanks to the current national debate over the Iraq War it is now clear to everyone except a few die-hard NCIs (NeoConservative Imperialists) that the real issue about the Iraq War is "constructive withdrawal:" not whether, but precisely when and how. There are many examples in history of unilateral military withdrawals -- including Israel's withdrawal from South Lebanon in May 2000 and from Gaza August 2005, the US withdrawal from Beirut in 1984, and the French withdrawal from Algeria in 1962. But as we debate the most constructive way for the US to withdraw from Iraq, one of the most interesting experiences for us to consider - ironicially enough -- is the painful Soviet experience in Afghanistan. The following excerpt is from a pre-9/11 report by the US-based National Security Archives on the lessons learned by the Soviet Union from its brutal, unilateral 1979-89 invasion and occupation of Afghanistan. 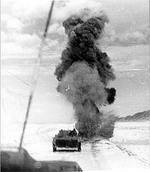 The Soviet Army intervened in Afghanistan in December 1979, about six months after US President Jimmy Carter signed off on a secret proposal by National Security advisor Zbigniew Brezinski to aid the opponents of the pro-Soviet Afghan regime -- hoping to entrap them into a Vietnam-like quagmire. For better or worse, apparently this effort succeeded -- with a little help from Soviet cupidity. The Soviet military only left the country in December 1989, after an unsuccessful decade-long effort to defeat Afghan's determined insurgents -- many of whom were US-backed Islamic militants. The resulting intervention ended up costing the Soviet Union 15,000 of its own troops, 50,000 causalties, and billions in hard currency, and contributed heavily to a domestic heroin and HIV/AIDs epidemic that continues to this day. An estimated 1 million Afghanis also perished because of the war, and more than 2 million refugees had to abandon their homes in Afghanistan for refuge in Pakistan and Iran. The war also provided a training ground for many of the Islamist rebels who eventually played a critical role in "terrorist" activities all over the world, including Chechnya, Kashmir, the Sudan, and al-Qaeda's disparate efforts against the US and Israel. In any case, as the following excerpt makes clear, there are many resemblances -- some of them almost eerie -- to the recent US intervention in Iraq. The old cliche still has force -- those who ignore history are condemned to repeat it.
. ....."Believing that there was no single country in the world which was not ripe for socialism, party ideologues like Mikhail Suslov and Boris Ponomarev saw Afghanistan as a "second Mongolia." 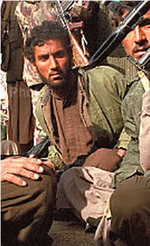 Such conceptualization of the situation led to the attempts to impose alien social and economic practices on Afghan society, such as the forced land reform. The Soviet decision makers did not anticipate the influential role of Islam in the Afghan society. There were very few experts on Islam in the Soviet government and the academic institutions. The highest leadership was poorly informed about the strength of religious beliefs among the masses of the Afghan population. Political and military leaders were surprised to find that rather than being perceived as a progressive anti-imperialist force, the Afghanis as foreign invaders, and "infidels." Reports from Afghanistan show the growing awareness of the "Islamic factor" on the part of Soviet military and political personnel. 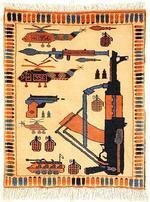 The Afghan communist PDPA never was a unified party; it was split along ethnic and tribal lines. The infighting between the "Khalq" and the "Parcham" factions made the tasks of controlling the situation much more challenging for Moscow notwithstanding the great number of Soviet advisors at every level of the party and state apparatus. The Soviet underestimation of ethnic tensions within Afghan society was one of the reasons of the unsuccessful policy of national reconciliation. The war in Afghanistan had a major impact on domestic politics in the Soviet Union. It was one of the key factors in the delegitimization of Communist Party rule. Civil society reacted to the intervention by marginalizing the Afghan veterans. The army was demoralized as a result of being perceived as an invader. . The prominent dissident and human rights activist, Academician Andrei Sakharov, publicly denounced the atrocities committed by the Soviet Army in Afghanistan. 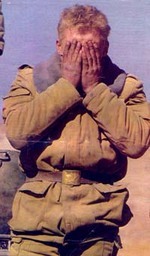 The image of the Soviet Army fighting against Islam in Afghanistan also contributed to a rapid rise of Islamic fundamentalism in the Central Asian republics and possibly to the strengthening of the independence movement in Chechnya, both of which continue to pose major security threats to Russia today. The Soviet Army also quickly realized the inadequacy of its preparation and planning for the mission in Afghanistan. The initial mission—to guard cities and installations—was soon expanded to combat, and kept growing over time. The Soviet reservists, who comprised the majority of the troops initially sent in, were pulled into full-scale combat operations against the rebels, while the regular Afghan army was often unreliable because of the desertions and lack of discipline. The Soviet troops had absolutely no anti-guerrilla training. While the formal mission of the troops was to protect the civilians from the anti-government forces, in reality, Soviet soldiers often found themselves fighting against the civilians they intended to protect, which sometimes led to indiscriminate killing of local people. Operations to pursue and capture rebel formations were often unsuccessful and had to be repeated several times in the same area because the rebels retreated to the mountains and returned to their home villages as soon as the Soviet forces returned to their garrisons. Soviet traditional weaponry and military equipment, especially armored cars and tanks were extremely vulnerable on Afghani terrain. The Soviet troops also suffered from the confusion about their goals—the initial official mission was to protect the PDPA regime; however, when the troops reached Kabul, their orders were to overthrow Amin and his regime. Then the mission was changed once again, but the leadership was not willing to admit that the Soviet troops were essentially fighting the Afghan civil war for the PDPA. The notion of the "internationalist duty" that the Soviet Limited Contingent was fulfilling in Afghanistan was essentially ideological, based on the idea that Soviet troops were protecting the socialist revolution in Afghanistan whereas the experience on the ground immediately undermined such justifications. The realization that there could be no military solution to the conflict in Afghanistan came to the Soviet military leadership very early on. The issue of troop withdrawal and the search for a political solution was discussed as early as 1980, but no real steps in that direction were taken, and the Limited Contingent continued to fight in Afghanistan without a clearly defined objective. Early military reports emphasized the difficulty of fighting on the mountainous terrain, for which the Soviet Army had no training whatsoever. Parallels with the American War in Vietnam were obvious and frequently referred to by the Soviet military officers...."